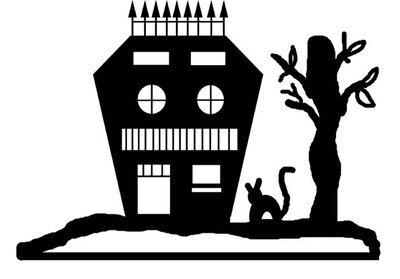 Make a Halloween House stand up scene for this spooky season. It's easy to do and you can use it as part of your Halloween table centerpiece. 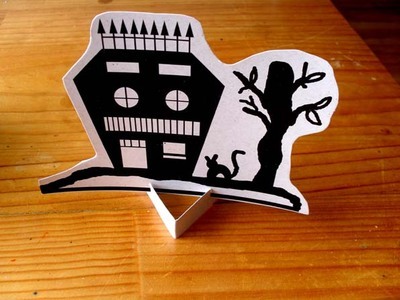 Print Halloween house onto card. This is an A4 sized print. I printed it onto A5 card using printer settings to re-size it. Cut loosely around the house scene shape. Cut a strip of card from the base of the house printout. 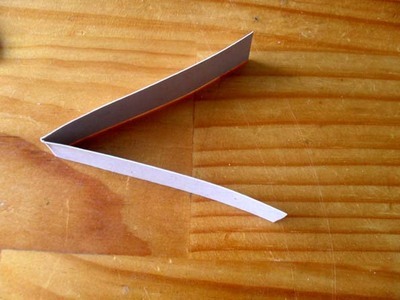 Fold the strip of card in half as shown. 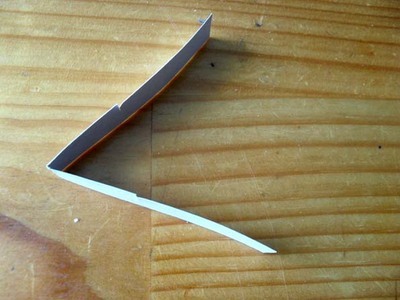 While folded make a cut on the strip of cardboard as shown, about halfway (vertically) down the strip. Slot the Halloween House into the slots as shown. Want to make this into a Halloween Pop Up Card?